When you are attempting a domestic removal, no matter whether it is in London, another big city on the map, or cross-country, things are complicated enough for you to go through much trouble and worries. The thing is that matters have the potential to become even worse when there are kids involved. There are however several pretty handy ways in which you can turn your moving experience into a completely kid-friendly endeavour. There are several things that you should not miss to handle when you are planning your upcoming relocation with the small ones. Naturally, the most important one is to pick up the right moving company and inform them about your special situation. 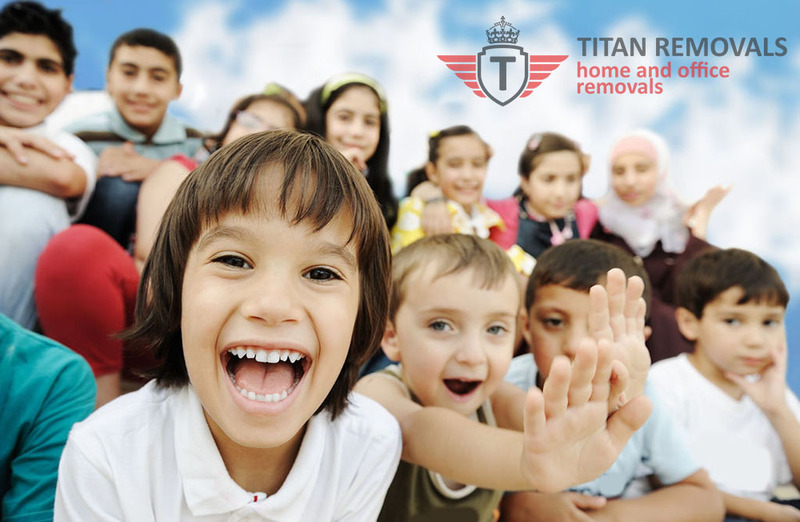 Most movers offer child-friendly services and chances are that you will not have a tough time finding such a company. Talk to your kids. They might not fully understand what is going on around them, but once you have sit them down and explained everything simply, chances are that they are going to get it and feel less stressed out about the whole venture. Get them involved. Delegate some small-time packing duties to your kids. Maybe ask them to help with the end of tenancy cleaning. Thus you will give them the feeling that they are participating in some sort of an adventure, and they will have a much easier time coping with the whole moving scenario. Throw a goodbye party/a housewarming Do it both for your kids and for yourself. Specialists suggest that a good, heart-warming party is one of the best ways to avoid the notorious post-removal depression. Take them seriously. In the middle of all the chaos surrounding the preparations for your upcoming home move, it might seem to you that the things that bother your little ones are insignificant. Well, they are not, and you should not, under any circumstances, allow yourself to think that, because you are going to do something stupid you will regret soon. Listen carefully to what is bothering your kids and then try to resolve it, just like a good parent is expected to. Make sure that all boxes containing the stuff of your kids are carefully and clearly labelled – thus if you need something quickly, you will be able to find it. Do not start unpacking right away – once you have arrived at your new place, rushing into unpacking all the boxes is going to create much unnecessary clutter – and clutter leads to stress for everyone, especially your kids. You remember that was the one thing we were trying to avoid at all costs, right?